Back on Track Classic Leg Wraps are designed for everyday stable and field use and should be applied under regular stable bandages. They are made from a revolutionary and unique Ceramic infused material, Welltex™, which uses Far Infrared heat therapy (using reflected body heat) to relieve and prevent joint and muscle pain and reduce the risk of injury. Endorsed by top riders around the world and praised in reviews by horse-lovers worldwide, these popular therapeutic leg wraps create a comfortable and soothing heat and can be used before, during or after exercise as a general maintenance wrap. Back on Track Classic leg wraps are designed to help boost the circulation to the legs and may alleviate swelling and tendon & soft tissue injuries. There is also a vast amount of anecdotal evidence to suggest they may provide pain relief, accelerate the healing process and reduce the risk of injury. When using prior to competition, we recommend applying the wraps at least 2 hours before the competition. 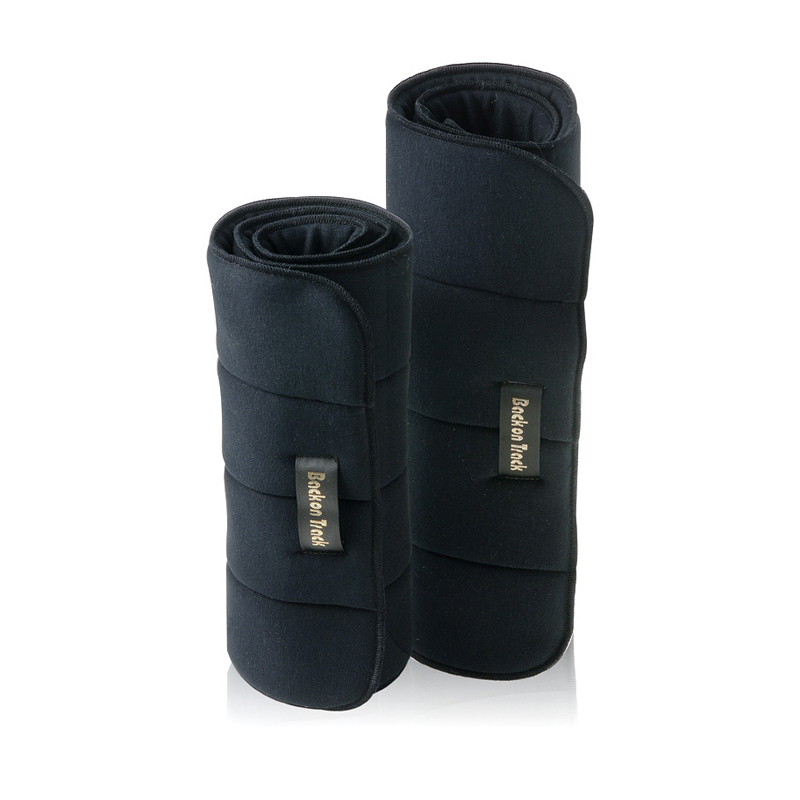 Back on Track Classic Leg Wraps are sold individually and come in multiple sizes.